Today we are showcasing the home design work of De-sine Factory, a start up design company based in Kochi, Kerala. 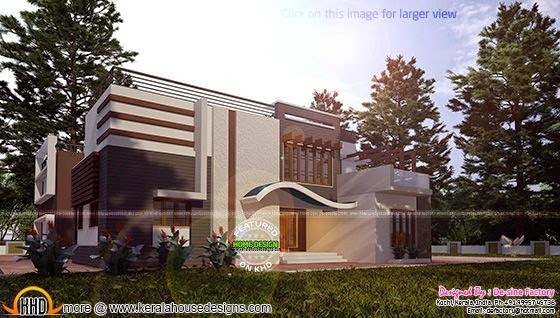 The total area of this house is 5540 Square Feet (515 Square Meter) (615 Square Yards). The design team provided the floor plans also. Ground floor : 2960 Sq.Ft. First floor : 2580 Sq.Ft. Total area : 5540 Sq.Ft.